The Coyote Reaper™ “Rifle Edition” Kit by Predator Tactics™ is everything you need to get yourself out into the field with your rifle. This is the ideal set up if you are a looking for Predator Hunting Lights or Hog Lights that will give you target identification up to 500 yards. This specialized Coyote Light is equipped with a matte black finish, built in halo shield and adjustable focus and the ability to easily switch out the color LED bulb module for changing the beam color on your Predator Light. The kit also includes an adjustable rail mount system that can be attached to your picatinny rail or a 1inch & 30mm scope tube. An On/Off Remote Switch Tail Cap is provided 8in the kit for easy on and off function for your Coyote Reaper™ Night Hunting Lights. A pair of rechargeable 18-650 lithium ion batteries and wall/vehicle charger set are also included in the kit. The Coyote Reaper can be ran off of one battery but the included battery extension tube allows for the use of both batteries for double burn time on this specialized Coyote Light. You’ll be leaving your old Predator Hunting Lights and Hog Lights at home after attaching the Coyote Reaper™ to your favorite rifle. So get on board with thousands of hunters that have proven a higher success rate in the field after making the Coyote Reaper™ their go to Coyote Light in their Night Hunting Lights arsenal. 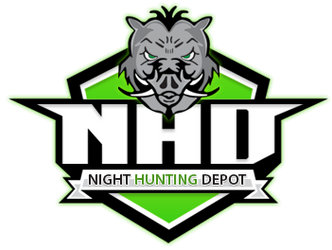 Predator Tactics™ has brought you the most innovative predator light and hog hunting light kit available today. The Coyote Reaper™ is packed full of features that makes it superior to any hunting light kit on the market. Whether you are hunting fox in the timber, coyote hunting in the prairie or hog hunting in the mesquite, the Coyote Reaper™ will adapt to any hunting situation. The Coyote Reaper™ hunting light will allow you to flood the beam wide for cutting through the timber or tighten the beam down for those long range shots.